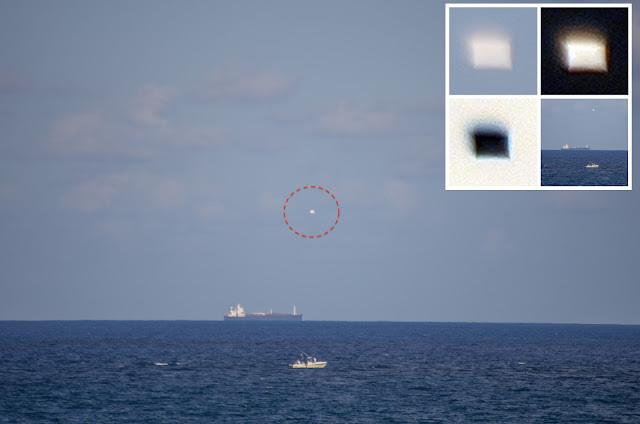 UFO SIGHTINGS DAILY: UFO Sighting Of Square Craft Over Boat, Florida, May 31, 2015, UFO Sighting News. UFO Sighting Of Square Craft Over Boat, Florida, May 31, 2015, UFO Sighting News. 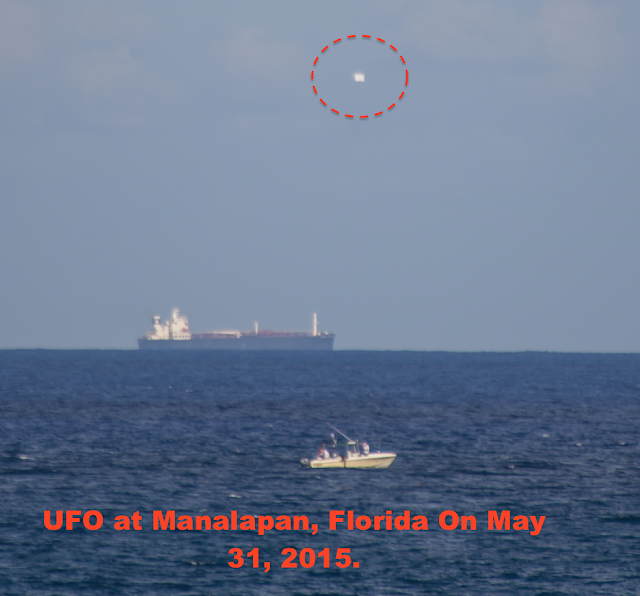 At 5:20pm on 5/31/2015 while on the balcony of my hotel room I observed what I thought was a bright star out over the water in south Palm Beach Florida. 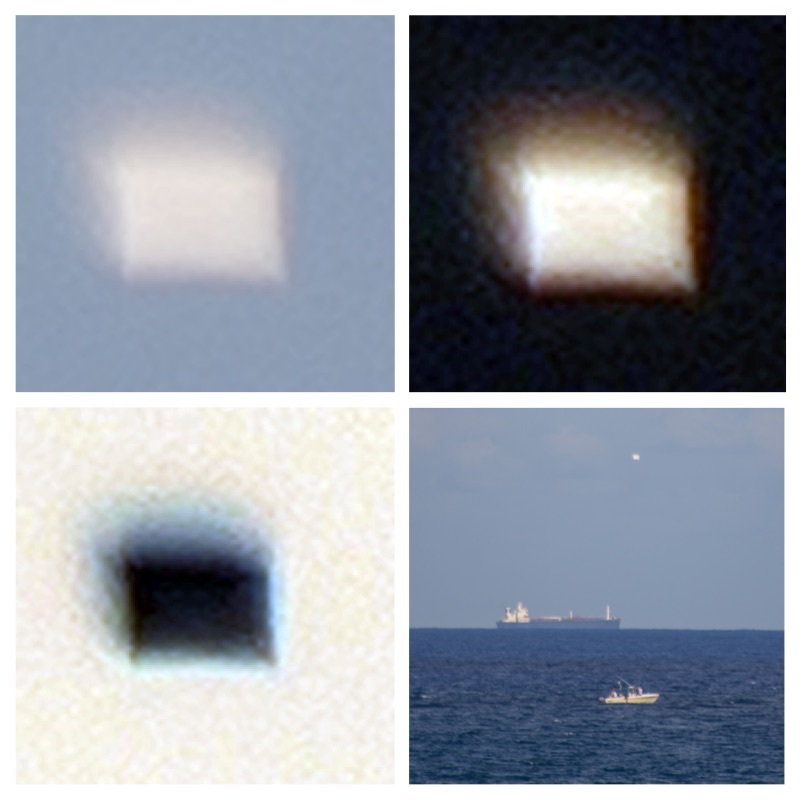 When I viewed it through my camera's viewfinder using a 300mm (450 35mm equivalent)zoom I saw that it was rectangular in shape, very bright and stationary. I took various pictures over a period of about 40 minutes after which it seemed to slowly move further away getting dimmer until I could not see it anymore. My camera is equipped with internal shake reduction but that may have contributed to the blurry edges of the object due to the shutter speed used, although a ship on the horizon appears to have cleaner edges. I've included various photos, slightly retouched in jpeg format and in their original RAW file format. One is a composite I made with the object cropped in the frame. 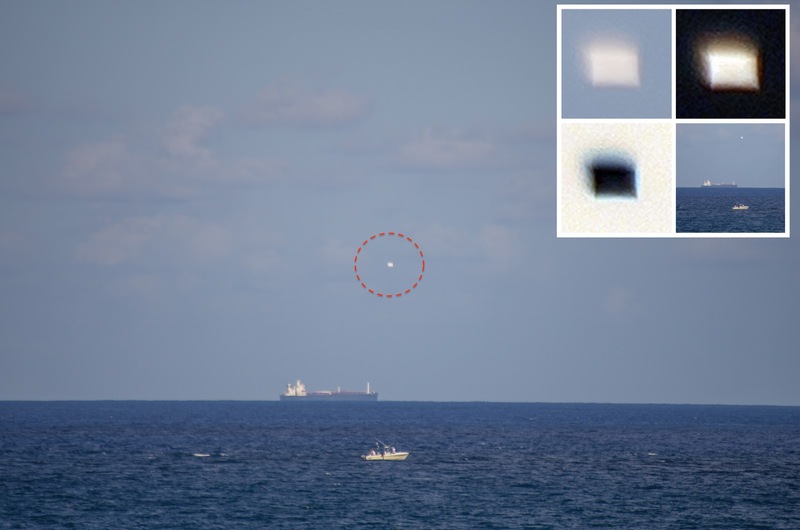 In another picture you can see a drone being flown by someone I assume on the beach, and another is a wide shot where you can crop in and see the object in the sky.